Fortney Refrigeration Co is an HVAC/R services contractor established in 1955 and serving Colorado’s entire Western Slope. 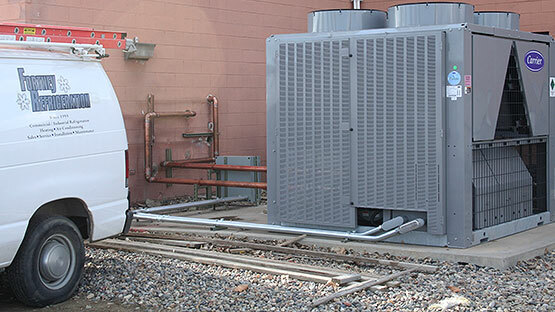 Fortney Refrigeration Co serves a diverse clientele performing installation, start-up and warranty service. 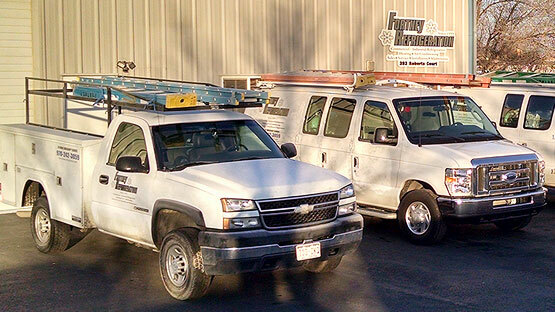 We maintain a fleet of service vehicles with technicians “on-call” 24 hours per day, seven days per week. Our service technicians and office staff strive for excellence and professionalism to support and advance our customer’s business success. We contract Preventative Maintenance Services with a large customer base, as well as, furnishing sub-contract emergency and maintenance services for large national service companies for their local accounts. 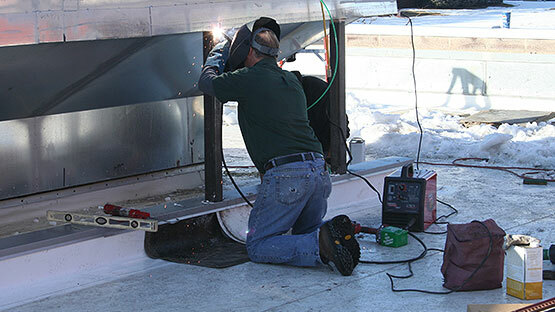 Fortney Refrigeration Co offers turnkey “design/build” services for new construction or system remodels and upgrades. 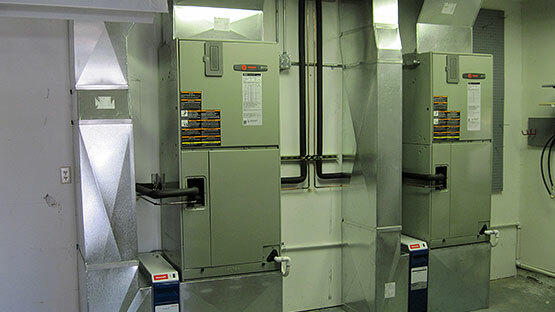 Fortney Refrigeration’s technical service staff is capable of servicing all types of temperature control systems whether they be electro-mechanical, pneumatic or digital controls. We send our service technicians through factory schools to obtain certifications when required by equipment and control manufacturers. Our technicians maintain E.P.A. Universal C.F.C certifications as well as individual certifications. We maintain “state of the art” direct and indirect gas fired heat exchanger burner combustion analysis equipment; rodding equipment for shell and tube heat exchangers, condensers and water and fire tube boilers; air and hydronic balancing instruments; Carbon Monoxide and Refrigerant leak testing equipment. Our company sells and services major brands of commercial refrigeration reach-ins, walk-ins, ice machines, ultra-low temperature laboratory equipment, steam and hot water heating boilers, industrial refrigeration systems, chilled water systems, rooftop HVAC systems and ventilation systems.